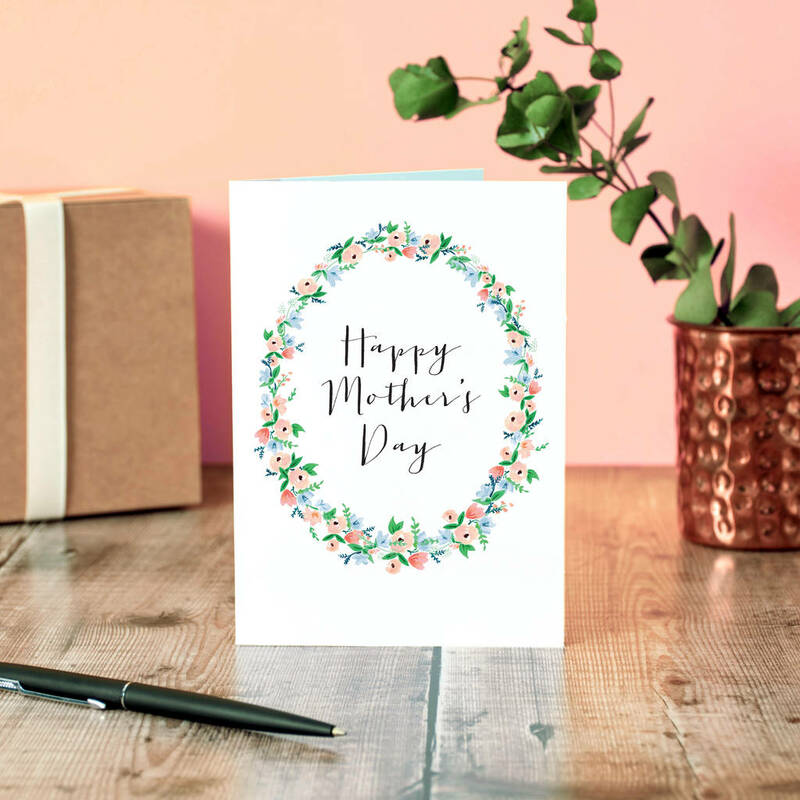 A beautiful and simple floral design for Mother's Day. Not every mother wants a silly or cheeky card sometimes the simple things in life are the best. This traditional and uncomplicated mother's day card featuring watercolour flowers is the perfect addition to any gift for your Mum on Mother's Day. Packaged in a cellophane sleeve and board-backed envelope for protection. Please note all cards are sent via Royal Mail First Class as standard. This service is not trackable and has a delivery aim of next working day, however it can take up to 3 working days during busy periods or if Royal Mail encounters any unforseen cicrumstances that will delay deliveries. The delivery date above is only an estimate based on normal service conditions, it unfortunately cannot be guaranteed. A6 (105mm x148mm), Royal Mail Standard Letter size. This product is dispatched to you by Oops a doodle.